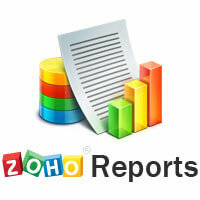 A complete Online Reporting and Business Intelligence engine ! With ZOHO reports you can import any data from an application, embed reports and collaborate with your colleagues to analyse your growth. You can also visually analyse and build your custom reports using a vivid arrangement of charts and pivots/tabular tables.